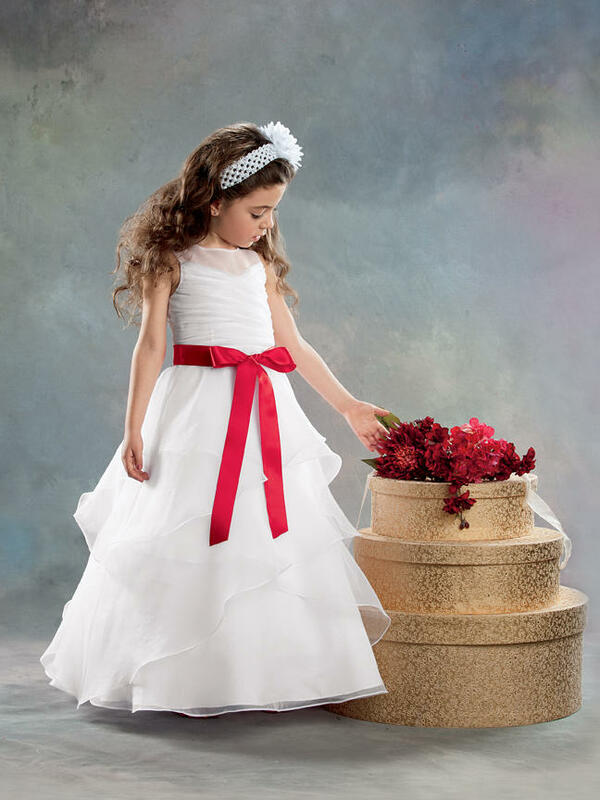 Shown in White with Cherry Ribbon�Floor length tiered organza skirt. Pleated organza bodice with sheer neckline. Cherry satin ribbon sash. Available in ankle and floor lengths.